Welcome to Build A Box! When it comes to creating custom box designs, we are the best in the business in Fullerton and have an easy to use box designer online tool that can help with your every need. We offer a wide variety of custom box types, all of which can be as elaborate or as simple as you’d like. Today, we’re discussing three types of custom boxes and what you can potentially do with your business’ customized box design! We’re breaking down our retail boxes, literature boxes, and custom trays. 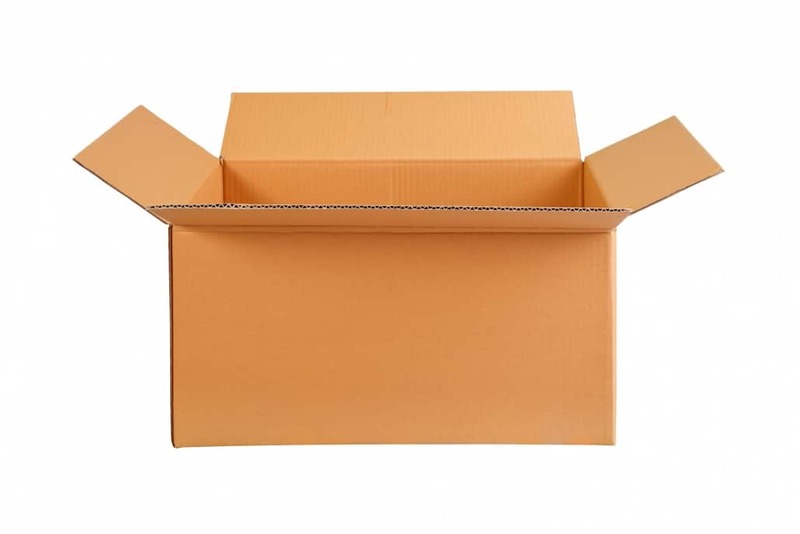 Retail boxes (also known as the reverse tuck end box or RTE) are mostly used for retail purposes but can be used for shipping with a stronger and thicker box. This box type allows for the box to be self-locking and doesn’t require tape or glue to stay closed. Retail boxes can also be modified to have snap lock bottoms, thumb holes for easy opening, or same-side tuck end. Brands will typically customize retail boxes with their logos and with what the product is inside. Retail boxes can be found anywhere because of the versatility it provides. From perfume and make-up products at a boutique in Downtown Fullerton to kitchen appliances at the local Target, retail boxes can be used for just about anything! 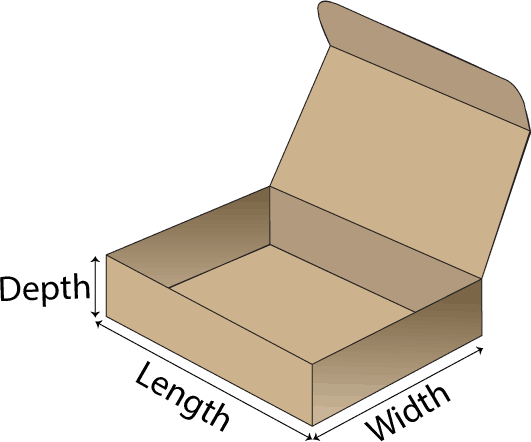 Literature boxes, otherwise known as one piece folders (OPF), are ideal for shipping books, picture frames, and other wide but flat objects. These boxes are typically made to fold around what is enclosed. 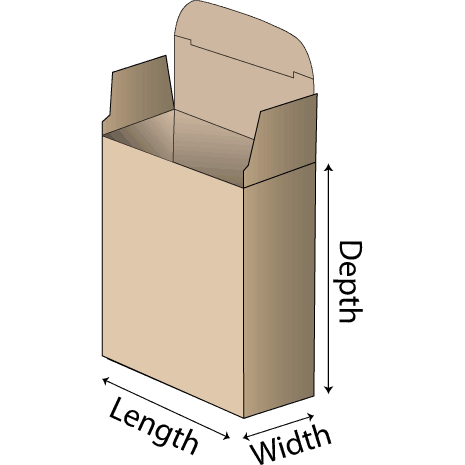 Modifications for literature boxes include variable depths, self-locking tabs, and protective air cells. 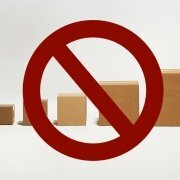 These types of boxes are most often used when shipping an item that is big but not bulky. For example, if a Cal State Fullerton student orders a book for a class off Amazon, they might get their book shipped to them in a literature box. Using literature boxes are considered the most economical way to ship items like this because it doesn’t require any excess packaging or protection like bubble wrap or packing peanuts. Tray boxes used commonly for narrow items like pictures frames or to display products. 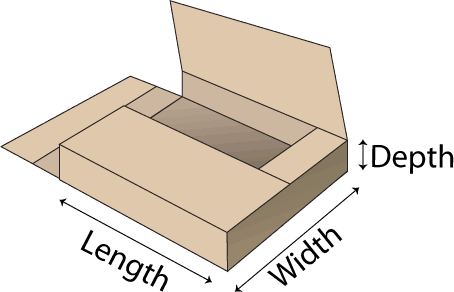 Two tray boxes can also be put together to form a full box with a lid. This box type is also known as a design style tray (DST), and the flaps can be glued, taped, or stapled. Other modifications include roll end tray, roll side tray, corner cut tray, or telescoping option. Customized trays can boost the aesthetics of any area with organizational needs. The mailroom or front desk of an office building will automatically look clean and organized when things are properly sorted into trays. Fullerton boutiques, bakeries, and other stores have invested in trays to help organize their products. Do you need a customized retail box, literature box, or tray? 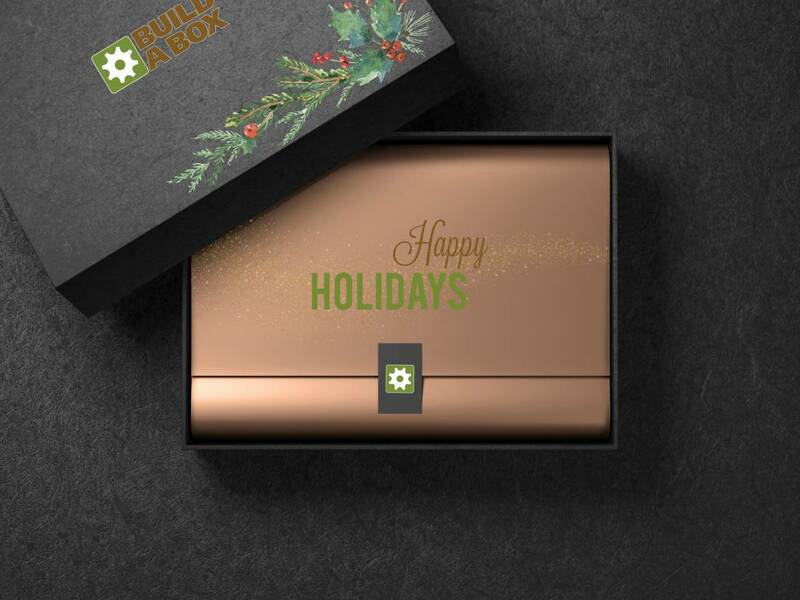 Build A Box is here to help you bring your custom boxes to life! Get started on your custom box design using our online tool today! If you have any questions about building your customized box, give us a call at (888) 406-1610. Here at Build A Box, we offer a wide variety of custom box types. Whether you want a simple custom box with your logo or an elaborate box design, we can do it for you. Today, we’re discussing two types of custom boxes and what you can potentially do with your business’ customized box design! Shipping and mailer boxes are two of our most popular box types, and we’re breaking it down for you. 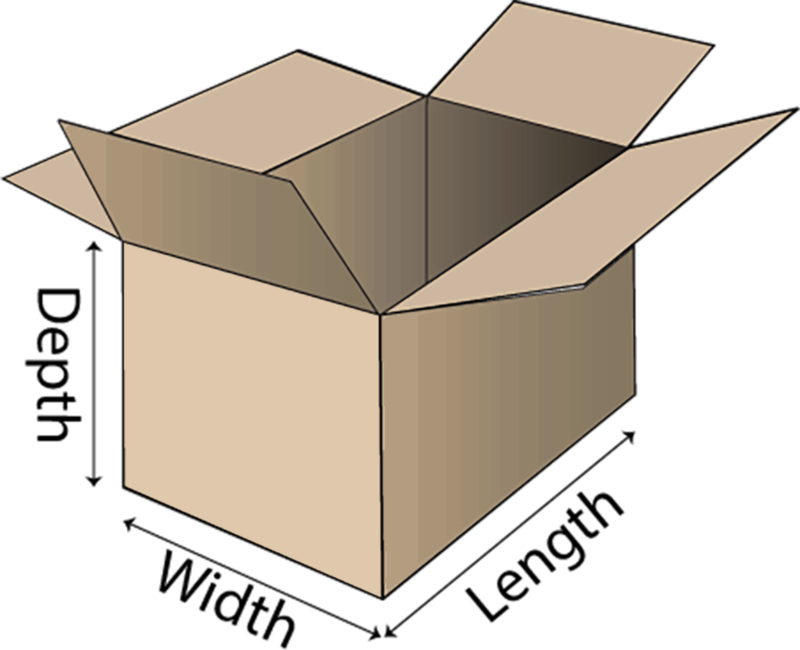 A standard shipping box is the most common type of box used for shipping and storage. These boxes are also known as a regular slotted container (RSC) and offer the best sizing for bulkier items. The shipper boxes can be modified to have hand holes, an automatic folding bottom, partial overlapping flaps, stapled sides, a snap-locking bottom, and more. 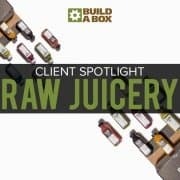 A great example of a shipping box is from one of our longest running clients, Raw Juicery! Raw Juicery sells juices and cleanses online and ships them to customers. 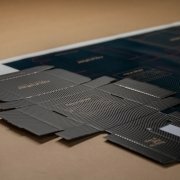 Their shipping boxes are customized to be branded with their logo on the outside and have custom inserts to insulate the products and protect them from breaking. Although they are based in Los Angeles, the custom boxes make it easy to ship to customers from Anaheim to New York! However, shipping boxes can do more than ship to clients. 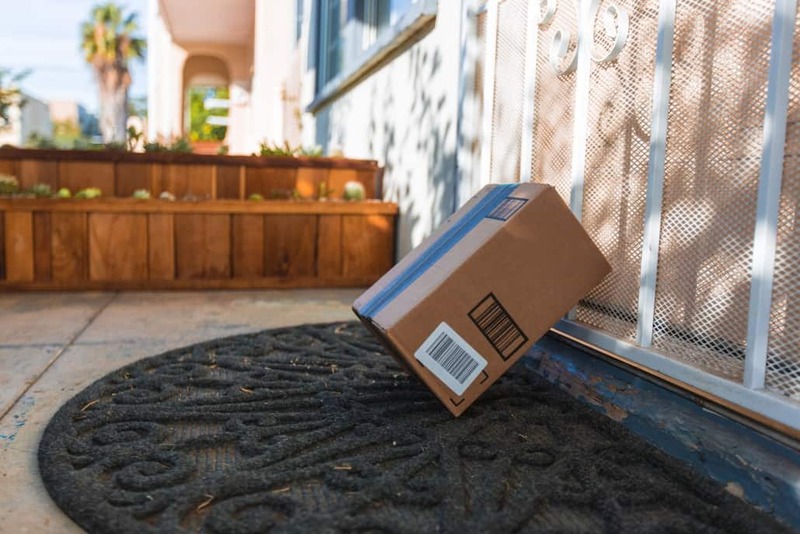 Due to its shape and size, many people will buy shipping boxes from stores like Home Depot or Staples for storage or for moving. Although these custom boxes may initially seem mundane, it actually can boost sales for the company. For example, if a couple is moving into a luxurious apartment in Anaheim and has packed all their belongings in Home Depot branded shipping boxes, people who see them moving will notice the Home Depot logo on the box, and will know where to go should the same occasion arise. Mailer boxes are most commonly used for subscription box delivery services but are also great for e-commerce packaging or retail gift boxes. Also known as roll end tuck top (RETT) boxes, they are flat, die-cut boxes that are assembled with a simple self-closing design. My Lit Box and Kidstir are two of many of our clients that use mailer boxes to fulfill subscription packages. 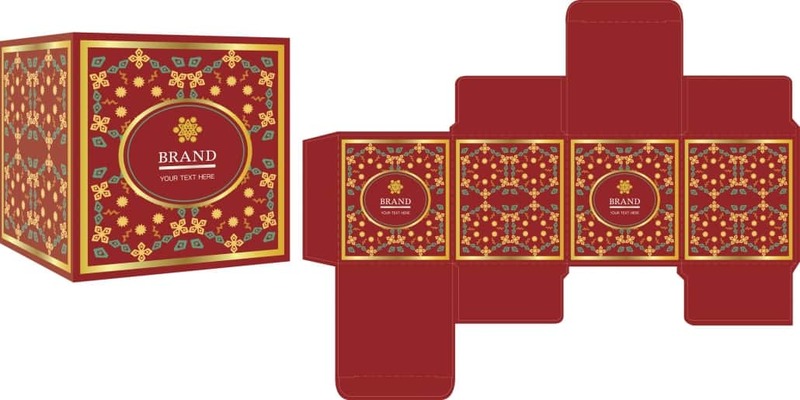 Both companies have customized this type of box to their individual brand in a way that gets subscribers excited about the packaging and items inside. Mailer boxes are great for shipping smaller pieces and can be customized to be as strong and durable as needed. Mailer boxes are also commonly used as product packages in retail stores. 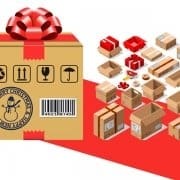 Many times when a store wants to bundle together popular items or run a promo for specific products, they will use a mailer box to keep the items together in a cohesive custom package. For example, many stores in Anaheim near Disneyland will have Disney merchandise in stock. However, during the summer peak season, they may bundle Disney items together in a package to boost sales! Do you need a custom shipping box or mailer box? We have you covered. You can get started on your custom box design using our online tool today! Build A Box is committed to bringing our clients high-quality products and top-notch customer service. If you have any questions about building your customized box, give us a call at (888) 406-1610. Consumers are becoming more environmentally conscious and investing in products that make strides to a better world. Build A Box Online is proud to have 100% recyclable customized boxes for all of our clients, down to the custom inserts. Through this mentality, your business can make a difference for both your customers and the planet simultaneously. If your items are sold in stores and you need critical information displayed on the packaging, custom boxes are the way to go! You can design your box to include the bar code, expiry dates, serial and product numbers, and other relevant product information. Having the details printed straight onto the box will last longer and are less likely to become damaged like a label might be. At Build A Box, we do not have minimum quantity requirements. That being said, larger quantities allow you to take advantage of our great wholesale prices. Ordering 500 customized boxes may seem daunting, but rest assured, our design experts work with you to ensure the details are accurate before sending designs out to print. 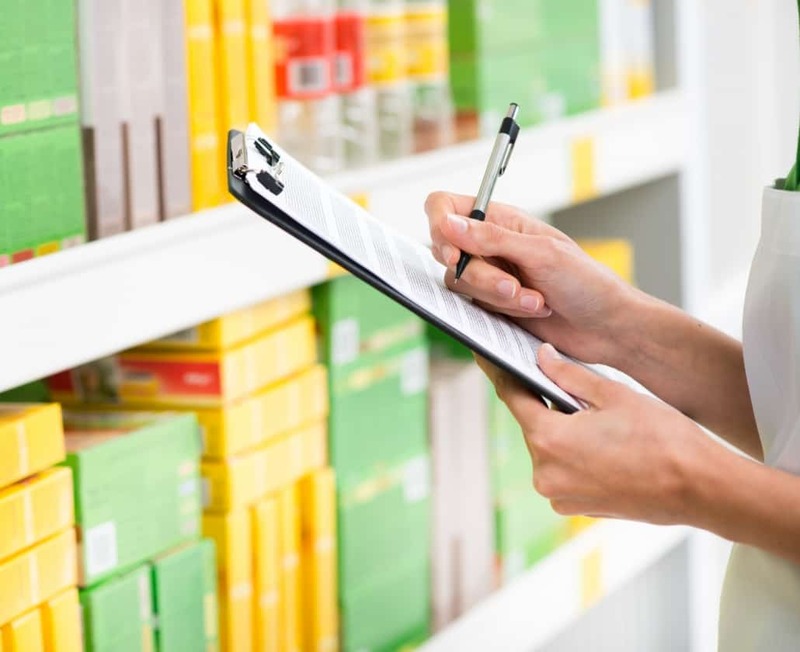 If you’re selling your products at your local Anaheim convenience store, having a custom box design will make it easier for the retailers to sort and organize your products! Retailers receive and stock a wide variety of products from different brands on a daily basis. Customized packaging will ensure your products will be stocked appropriately and won’t get lost in the crowd! Differentiation goes hand in hand with your business’ branding. You want your brand to be set apart from your competitors. Being different than your competitors will make you more memorable and recognizable to your customers. Imagine your product in a plain brown box. Now imagine it in a personalized custom box with your company name, colors, and logo. What’s the likelihood that your customers pick up the plain brown box over an enhanced box with on-brand design? Not Likely. Our number one priority here at Build a Box Online is to ensure our clients’ happiness. We know how much easier it is to reorder something you’ve already designed than to start over and do the same customizations again! We’re here to make your life easier when it comes to your custom boxes! 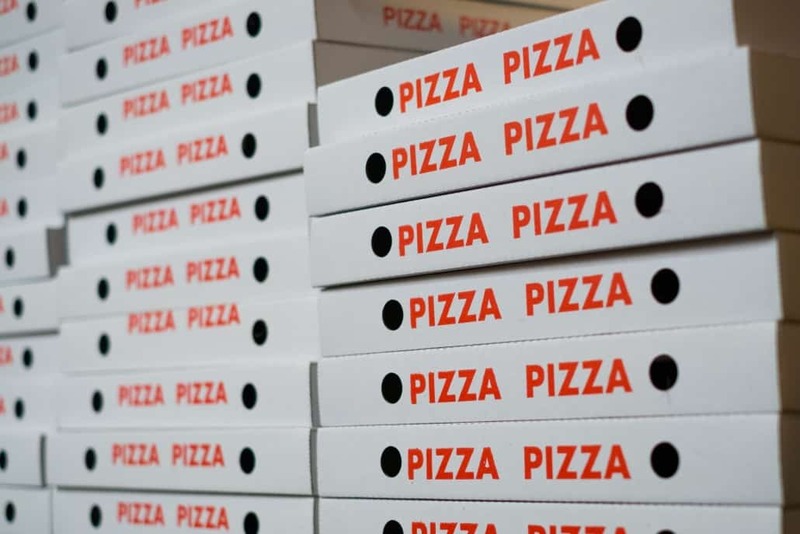 No matter where you are in Anaheim, Orange County, or even the world, just let us know you want to reorder, and we’ll get started on it right away! So what are you waiting for? 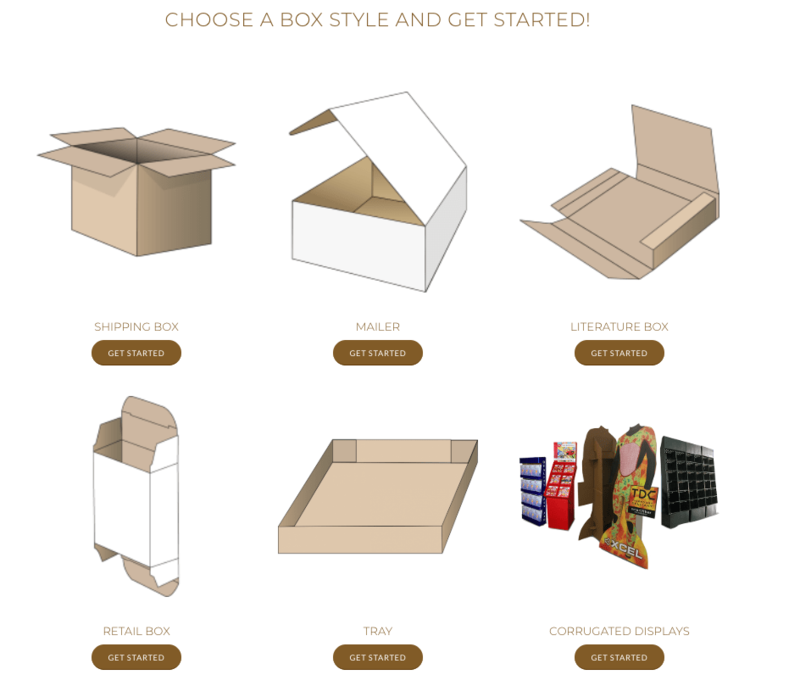 Get started on your custom wholesale boxes with our proprietary online box designer tool. 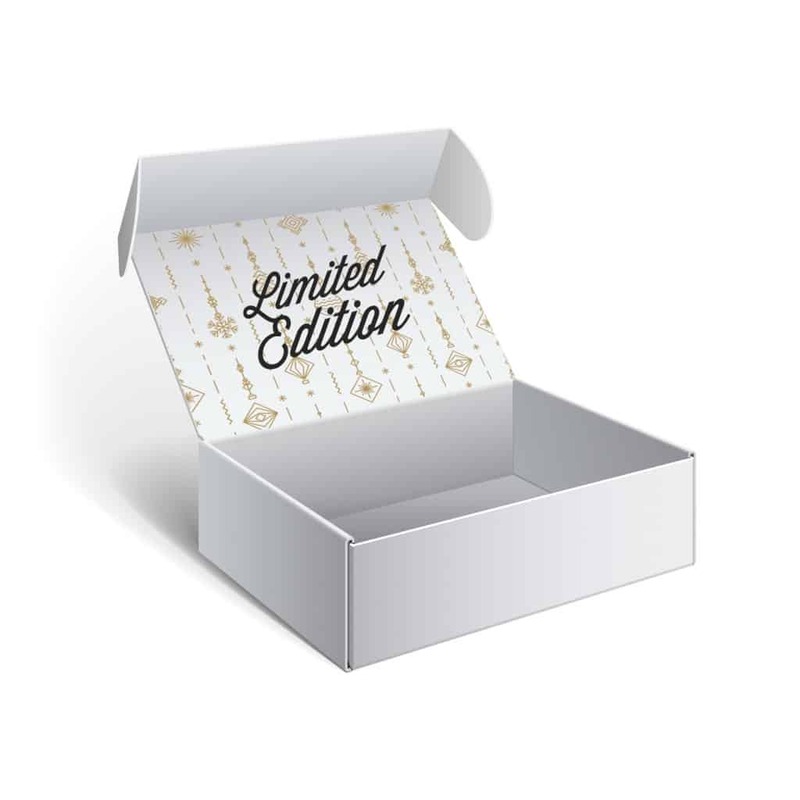 Build A Box is exactly what you need to get customized branded boxes. We are located in Anaheim, but we proudly serve all of Orange County. If you have any questions, give us a call at (888) 406-1610. 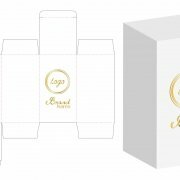 Your custom made boxes are an extension of your company’s branding and marketing, so it’s important to make sure that you are reaching your target audience with your packaging. This is a vital step in building your company’s brand recognition. When your customized boxes are designed with your ideal customers in mind, your product is going to be more memorable to them, which prompts them to be a loyal customer and share it with their friends. Learn more about how customized boxes can grow your brand recognition on our previous blog. But for now, let’s talk about how you can design boxes for your ideal clientele. Each demographic has a general preference that you can use as a guideline in your designs, and become more likable among the target audience. There are a few questions you may want to ask when designing for your target audience: Who are they? What do they like? And how does your brand relate to them? There are no right or wrong answers to these questions because no two businesses are the exact same. Retail stores in Anaheim and Santa Monica are going to have different target audiences due to the people in the area and the local popular attractions. Anaheim may be more Disney-oriented whereas Santa Monica may gear towards beach go-ers more. Let’s dive a little deeper into these questions and talk about how you can answer them for your business. Question One: Who is Your Target Audience? You could also target people by what their hobbies and habits are. Your target audience might like to goto the Anaheim Packing House every weekend, go rock climbing, or has a Target addiction. No matter how broad or specific these groups may seem, they all will have a common preference in their products. Question Two: Generally, What Do These Demographics Like or Prefer? Age: Packaging for older adults and seniors may need larger text for their convenience. On the other hand, packaging for young adults can be more “trendy” and modern. 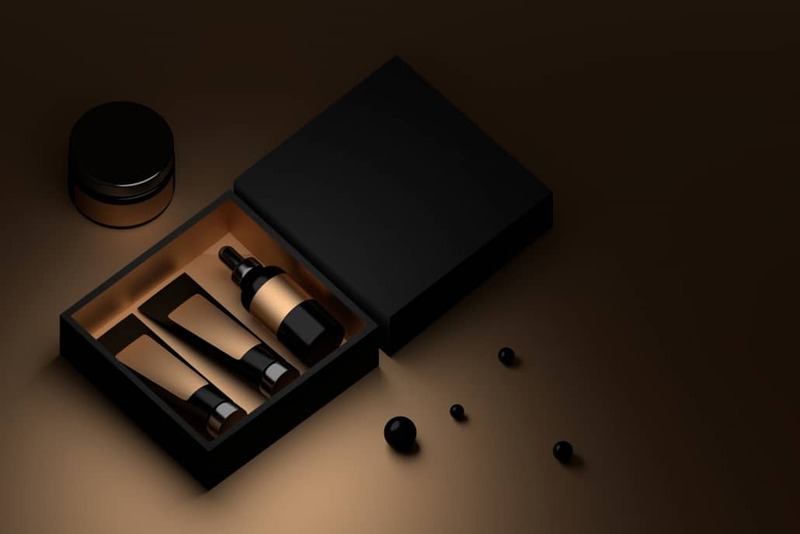 Occupation: Those with higher incomes are more likely to invest in more expensive products, and want the feeling of luxury within the packaging. Whereas people with odd jobs (i.e. food scientist, video games tester, or cosmetologist) might like something more fun for the packing instead of luxurious. Location: If your ideal clients live near the beach in Southern California, they are likely to love sunshine, the ocean, and surfing! The imagery of endless summer is more likely to stand out rather than animals on a farm. Keep in mind that the preferences for the target audience may not be true for every single person in the specific group. Not every Newport Beach resident likes surfing, not every Anaheim resident has a Disney pass and not every 21-year-old likes to spend all their free time partying. These preferences should encompass what the majority of the group likes. Question Three: How Does Your Brand Relate to Your Ideal Client? Think about your brand and its personality. How does it relate to your clients’ preferences? If your client is walking down the store aisle, what is going to make them stop and look at your product? For example, if you are in the beauty industry, but your ideal clientele is more alternative, then your design might be less pink and glittery, and more dark and grungey. If you’re a men’s shaving subscription service, your box is probably going to include bold fonts, darker toned colors, and masculine imagery. Ultimately, you’re looking to catch the attention of your ideal customer base with a custom box that relates to their interests. This may be the trickiest part of the design process because you have to think like your target market. Take a look at your competitors and see what they’re doing. If they have something that you like, take it, twist it, and find a way to make it yours. Just like how you and your business have an ideal client, your customers have an ideal brand. Become that brand. Those are the three most important questions to ask yourself when designing boxes for your target audience. If you are in need of custom wholesale boxes or a box designer online, you’re in luck! Build A Box is just the tool you need to deliver custom branded boxes. We are located in Anaheim, but we proudly serve all of Orange County. Start building your box today with our online building tool! 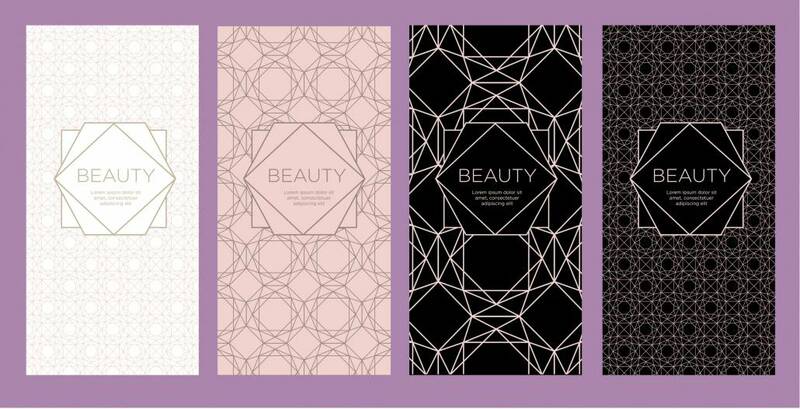 With every amazing custom box and packaging comes a great design, and with every great design comes a creative designer-genius. 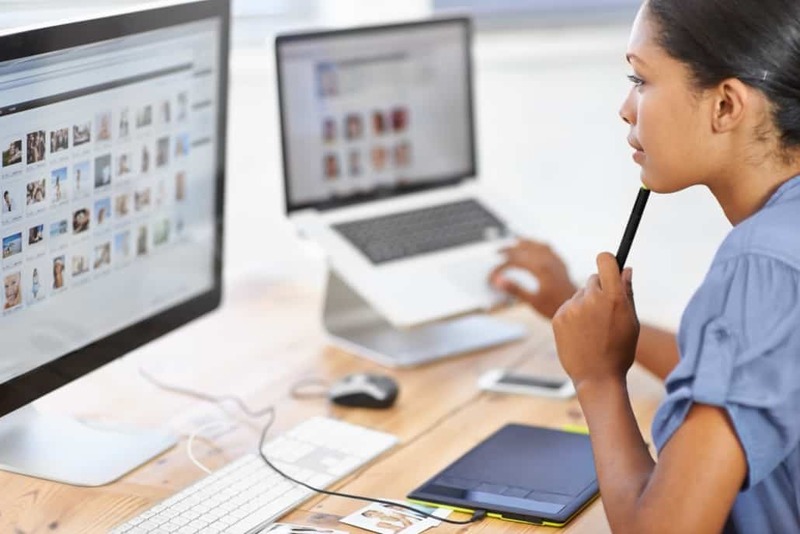 Finding the perfect designer is more than just posting a job listing online because ideally, you’d want to find a designer that can enhance your brand and its personality. Here’s how to find the perfect artist to design a custom box for you. These are all critical questions that your designer will need to know to make your perfect design, and will help you narrow down the list of ideal designers. For example, if your target audience is college-aged students and young adults, a designer who is old enough to be their parents may not have the right creative aesthetics that will properly reach your target. It’d be best to find a younger designer who may also fit this category or a designer who has a lot of experience with designing for this target age group. Now that you know what you want and need from your designer, it’s time to find the best one. This part will be a little difficult because there are countless talented designers in the world. When you look for your designer, make sure you are looking for them on trusted sites and agencies, as you need to be confident and comfortable in their ability to create your vision. Many outsourced designers can be found through design agencies such as Behance, Dribble, crowdsourcing websites, or through freelancers. Design freelancers can be found on websites like UpWork, Crew, or Fiverr. 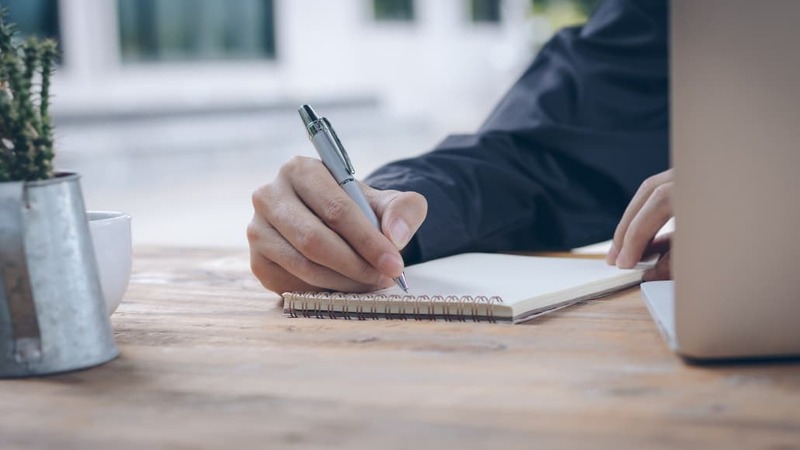 The best recommendation to narrowing down your list of potential artists is to look at their portfolios and see if it matches your brand and what you want. Once you’ve found your perfect designer and finalized your vision for a custom box, it’s time to bring that vision to life with someone who can help you create a product box online! 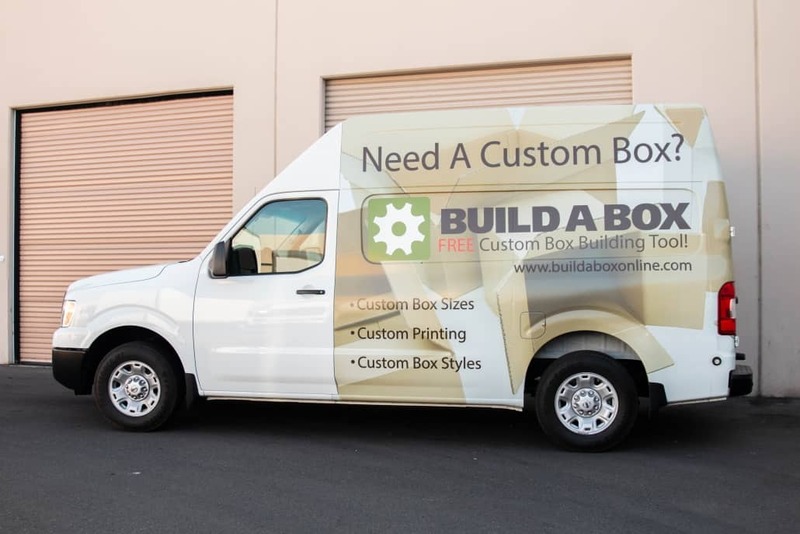 Build A Box is a customized box company in Orange County that is dedicated to the success of our clientele and can help transform your design into a real box! Our free online tool is easy to use and requires zero obligation to follow through. You can use it anywhere from Irvine to London to Tokyo and all the way around to Fullerton. Send us your design and our custom box experts will assist you to make sure your custom product box is going to be perfect. Once we get the green light from you to make the boxes, we’ll cut, print, and ship the boxes to you! Our standard production time is about 7 to 10 days, but before you know it, your customized box vision will have come to life. Raw Juicery is a juicery based in Los Angeles, with a focus on conscious sourcing and sustainable practices. They have products for any need: detox and cleanse, immunity, beauty benefits, energy, recovery, and so much more. 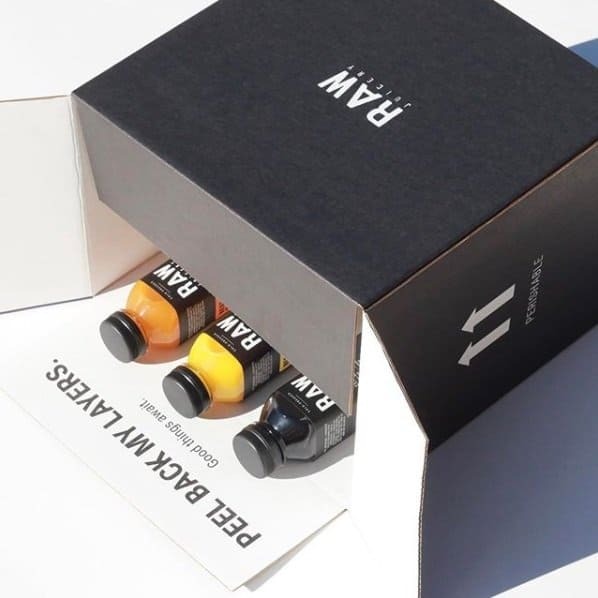 Customers have the option of buying individual bottles, curated packs, or even build their own box full of the juices they want. Raw Juicery began in 2012, and we here at Build A Box have had the pleasure of being their custom box partner for the last five years. We love working with Ryan and Raw Juicery, and we were ecstatic to hear that they love working with us too! When asked why Ryan keeps coming back to work with us, he said, “I keep coming back because we have built a fantastic relationship with Build a Box. I always know I’m in good hands and that I won’t overpay for my box whether I’m reordering or coming with a totally new concept.” This is something we try to achieve with every one of our clients, whether they’ve been working with us for two months or five years. We always want our clients to feel like they’re in good hands. Something that is very important to Raw Juicery, that we’ve been able to help them with, is creating products that are guilt-free in every way, including their packaging. With our custom boxes, we were able to provide them with 100% recyclable and insulated packaging without the styrofoam. Which helps Raw Juicery abide by their “raw ethos” code. Working with Raw Juicery for the last few years has been such an honor and we are so grateful to have such an awesome recurring client like them. If you’re looking to do a juice cleanse or help boost your health, we definitely recommend Raw Juicery. Check out their website at https://therawjuicery.com/ and show them some love on their Instagram @rawjuicery. 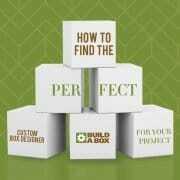 Welcome to Build A Box, the easiest place to design your custom box. Whether you’re looking for custom retail packaging or custom shipping boxes, we can help. Build A Box is a hassle-free box-designing tool that is designed to help our clientele achieve their success. If you’re looking to create your custom box, look no further! This is how you can start on your custom box design. Step One: Choose a Box Style! We offer five different box styles, including shipping, mailer, literature, retail, and tray boxes. You can learn about these different box styles on the help center, but for now, we’ll talk about our shipping boxes because they’re versatile and the most common box style for shipping and storage. Step Two: Build the Box! Our online box building tool will then ask for the dimensions, strength, and colors of the box. 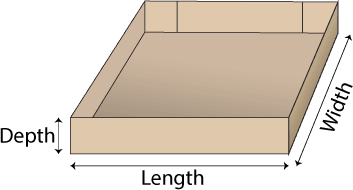 The dimensions are the inside measurements of the usable space, labeled as Length x Width x Depth. 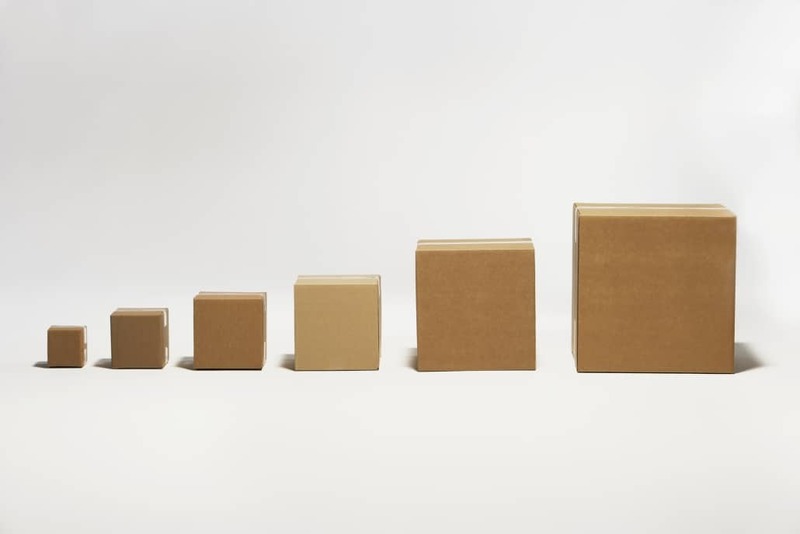 The strength of the box determines how much weight it can withstand, which is categorized into four strengths: standard, strong, standard double-wall, and heavy-duty double-wall. You can also choose which box color you prefer: kraft (standard brown), standard white, or premium white. Step Three: Get Connected With Your Design Expert! Once our team receives your initial box design, one of our design experts will reach out to you and help with the rest of the design process. 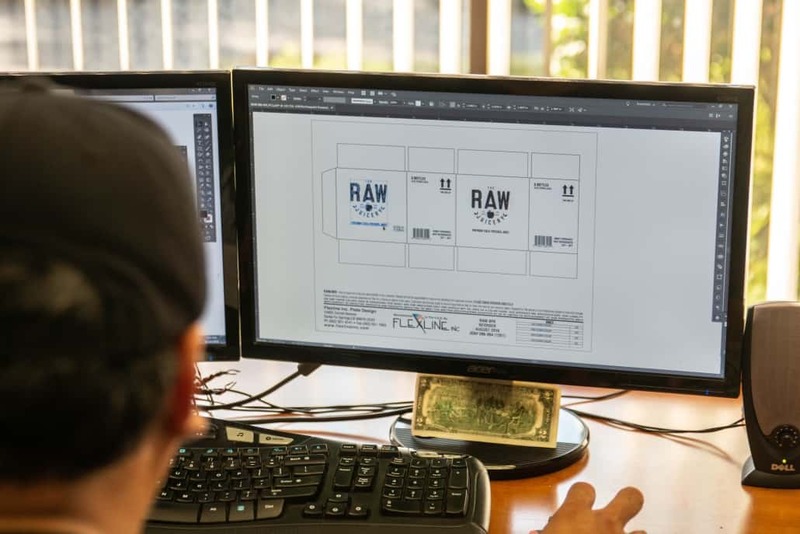 Our associates will add their expertise, show different design options, suggest money-saving tips, and help you design the most efficient packaging solution for your box. Step Four: We Make and Ship Your Box! After finalizing your custom box design, we’ll make and ship the box to you! Standard production time is between 7 to 10 days after being given approval. Before you know it, your customized box vision has come to life. Build A Box is committed to bringing our clients high-quality products and top-notch customer service. Our online tool is free to use, requires no obligation, and you can use it anywhere in the world, including Irvine, New York, or even Singapore! If you have any questions about building your customized box, give us a call at (888) 406-1610. When you discover the freedom you have to be creative with your custom branded boxes, it’s easy for designs to become over the top and out of hand. Although there is nothing wrong with exploring your creativity, there are a few things you want to avoid when it comes to creating your customized boxes. Nothing in life should be complicated, packaging included. You want your packaging to keep your products safe, but there’s no need to make it hard for your customers. Easy-to-open boxes mean happy customers! We can guarantee one thing – the faster the customer can get to what they spent their money on, the happier they’re going to be. When you’ve customized a box, there is no reason why it shouldn’t speak to your brand! Branding elements may include adding your logo, colors, messaging, and more. 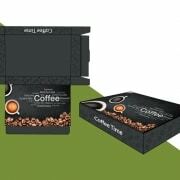 Branding your customized box will make it more memorable, and help build brand recognition amongst your customer base. Every company has a target audience, and the customized boxes should tailor to that audience. Think about what will be appealing to your ideal customer. For example, if your products cater to children, the packaging should be colorful, playful, and fun, so kids want to open the box and play with what’s inside! 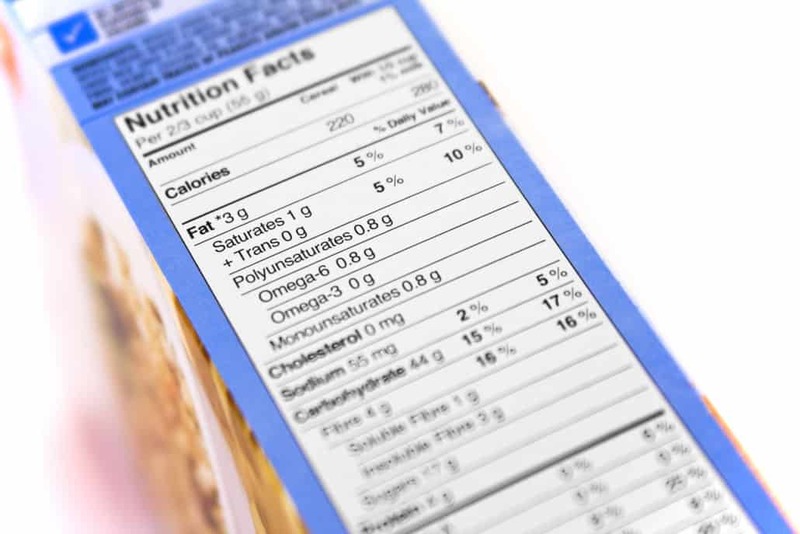 On the other end of the spectrum, products targeted towards older adults may need larger text, so it’s easier to read. Remember: smaller boxes mean smaller cost. A lipstick packed in a box triple its size with a bunch of packing peanuts is a waste of space and money! 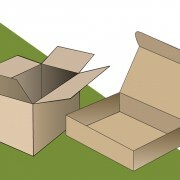 Use the environmentally friendly option and have your box sizes at the minimum necessary size. Speaking of being environmentally friendly, many consumers have started to care more about the environment, and they expect brands to do the same. Customers love knowing that their products and their packaging are ethical and eco-friendly. 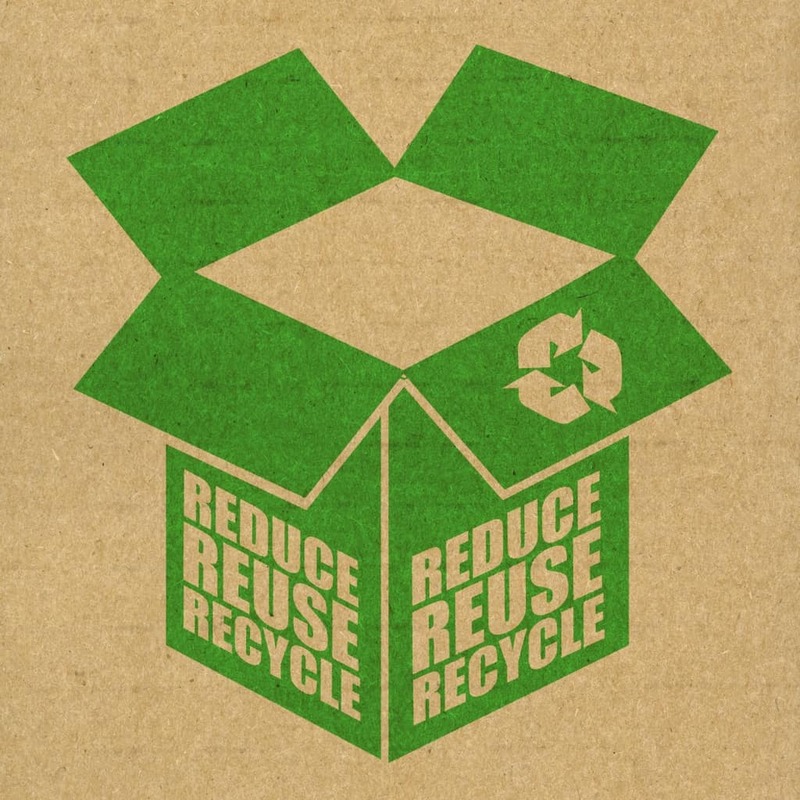 Here at Build A Box, not only are our boxes 100% recyclable and environmentally friendly, they are easily customizable to your company’s brand and vision. Get started on your customized box today! 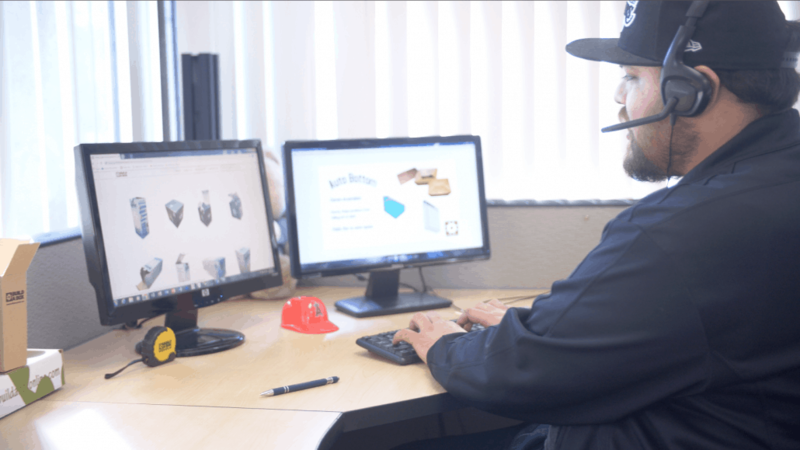 Give us a call at (888) 406-1610 to get connected with a design specialist. 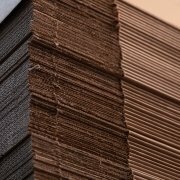 When it comes to shipping and packaging products, it’s really easy to just bulk order regular brown boxes to package your products. 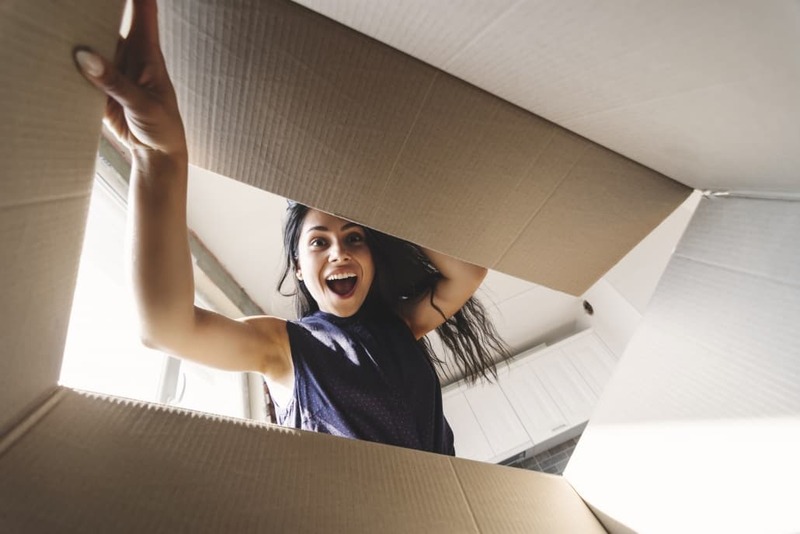 Many business owners think customers only care about what’s inside the box, and although this is partially true, a customer’s first impression starts with the box itself. Customized boxes are ultimately about one thing: brand recognition. Customers are more likely to invest in products they recognize and trust. For example, when shopping for new tennis shoes, many people will immediately go toward boxes with a Nike swoosh on them or the Adidas stripes because these companies are reputable. Consumers are drawn to the branded boxes they recognize. Many purchasing decisions are made subconsciously because people stick with what they know. People will continue using a brand until they have a reason not to. This is why brand recognition is vital for companies and why it starts with what people see first: the packaging. 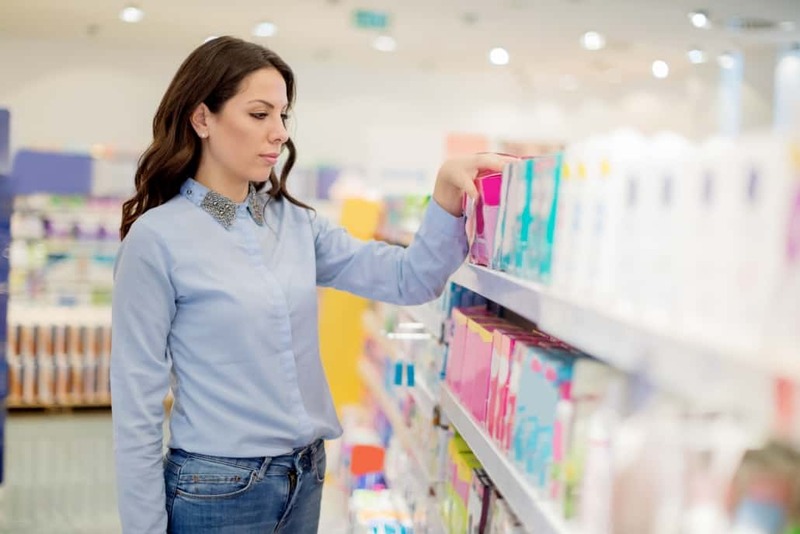 Some consumers might not even think twice before picking which product to buy because they will be loyal to the company they are familiar with. Nike and Adidas are both reputable sports apparel companies that dominate the market. Both brands have loyal customers, and few of those customers probably overlap. The companies have strong branding strategies that allow them to be set apart from each other, and customers are easily able to differentiate between the two by their packaging alone. So how can you get your customers to be drawn to your products? How practical is it to build brand recognition for your company? The answer is customizing branded boxes is easy with Build A Box, and you could even get started on it right now! With our online design tool, you can build a custom box with your logo, color scheme, and the quality and strength you need. We also have a team of design experts to help create your perfect branded box if you need something more specialized. Setting yourself apart has never been easier! 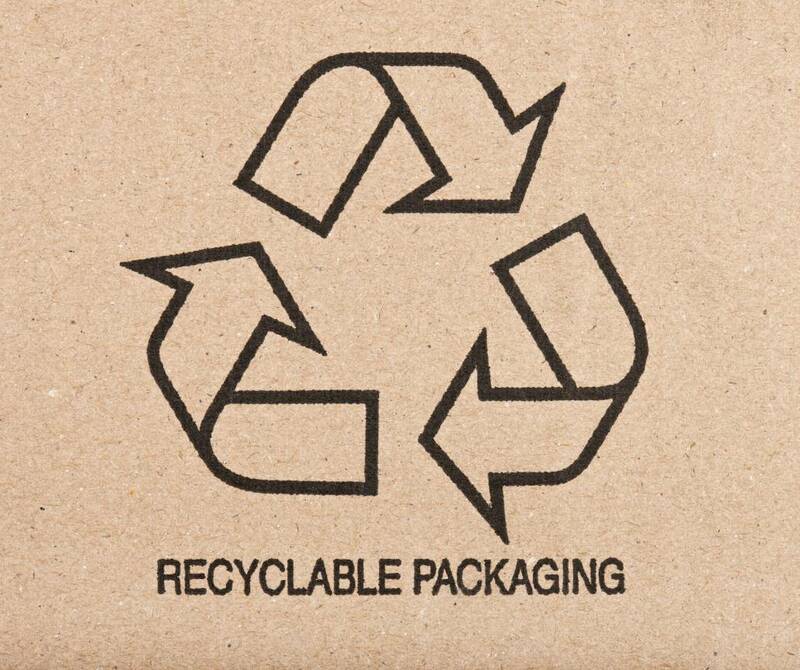 All of our custom boxes and products are 100% recyclable, making it both environmentally friendly and economical. Are you ready to strengthen your company’s brand recognition? Get started on a customized box with our free design tool. Have questions? Give us a call at (888) 406-1610. We’d love to help you bring your vision to life.